Rates are age-adjusted to U.S. 2000 standard million population. Data are age adjusted to U.S. 2000 standard population. ICD-10 codes E24.4, F10, G31.2, G62.1, G72.1, I42.6, K29.2, K70, K85.2, K86.0, R78.0, X45, X65, and Y15. 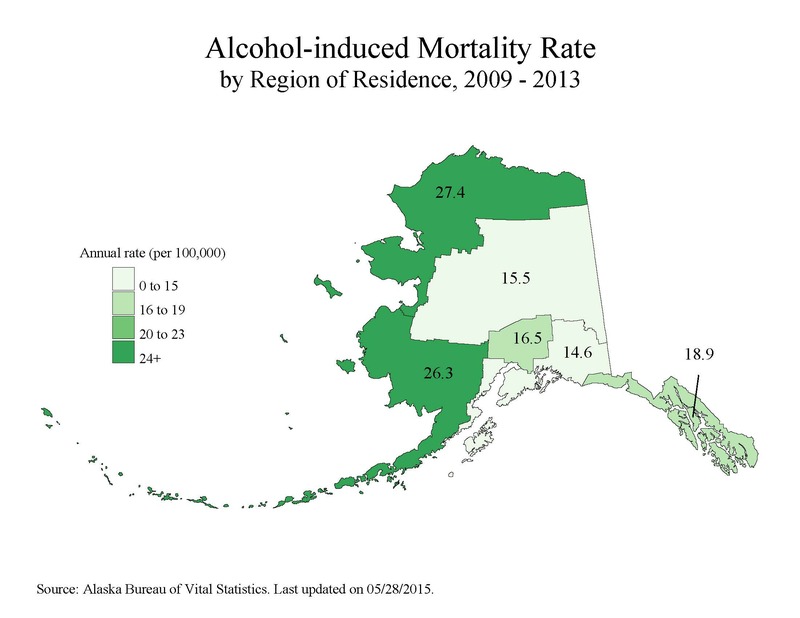 The information provided above is from the Alaska Department of Health and Social Services' Center for Health Data and Statistics AK-IBIS web site (http://ibis.dhss.alaska.gov/). The information published on this website may be reproduced without permission. Please use the following citation: " Retrieved Wed, 24 April 2019 2:23:54 from Alaska Department of Health and Social Services, Center for Health Data and Statistics, Indicator-Based Information System for Public Health Web site: http://ibis.dhss.alaska.gov/ ".